When Texas experienced its first Category 4 hurricane since 1961, a family-owned business of over 40 years came to the aid of the community. 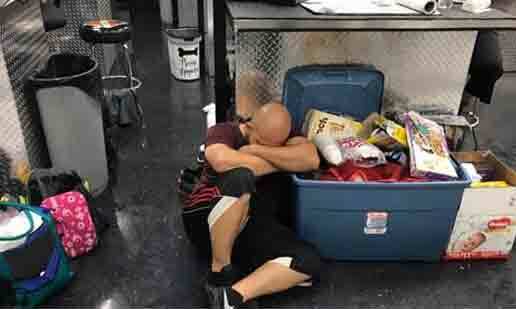 As Hurricane Harvey battered the state in August of 2017, Kyrish Truck Center provided shelter for employees, worked the phones tirelessly to get 30,000 pounds of meat from Florida to its battered region and – along with the generosity of local dealers and vendors – dispersed over $140,000 to displaced employees. This commitment to selflessness and doing what’s right is just part of the reason Kyrish Truck Center is the third-largest international trucking group in the country. And now its rebranding efforts will provide an even better, smoother and more comprehensive customers experience. For over 40 years, the Kyrish family has strived to be the country’s leading commercial truck provider, which also includes a vast inventory of truck parts and professional services. The family owns dealerships throughout Texas that each previously operated under a different name. Today the company is announcing rebranding efforts that place every location under the Kyrish Truck Center brand and logo. Whereas each dealership possessed a different name until now – which sometimes led to confusion – the rebrand further entrenches Kyrish Truck Center as a family-owned and operated business committed to the needs of its customers and the current marketplace. The launch of the rebrand coincides with the company’s aggressive growth plan over the next five years in which it looks to triple its business. The company currently has nine locations in Austin, Bryan, Corpus Christi, Houston, Laredo, Pharr, San Antonio, Temple and Victoria. “I think there will be a greater sense of comfort in knowing that if I’m in one market and I go to the next one I’m doing business with the same people,” said owner Duane Kyrish regarding how the rebrand will help customers. As an example: If customers in Austin need to do business in San Antonio, they can have confidence they’re working with the exact same company, employees and even contracts that can take care of them on a broader scale. Whereas it sometimes felt like working with nine different companies in the past, the rebrand solidifies Kyrish Truck Center as a one-stop shop able to meet all customers’ trucking needs. Kyrish also believes the rebrand will not only further enhance the family atmosphere it has worked for three generations to establish, but also convey that the company is still big enough to buy the right trucks and parts at the right price while providing comprehensive customer support. At a time when the Kyrish customer base is expanding rapidly by the day, the rebranding initiative will provide customers with seamless services that ensure everything from products to paperwork to purchases are the same across all locations. Other employees whose homes had been damaged sought refuge at the company’s main Houston location. 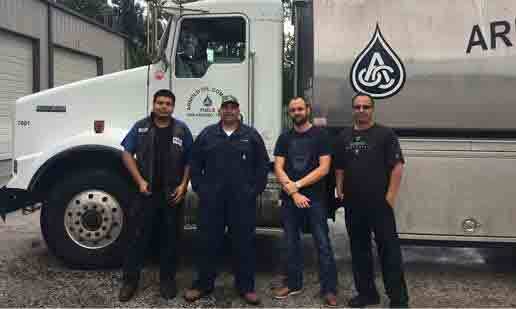 When all was said and done, the company provided a safe haven for over 40 people. The dedication to community and humanity didn’t stop there, however. Duane Kyrish opened up his home to employees for a solid 10 days as the community began the process of recovery. During the storm’s aftermath, after braving the crowds inside a jam-packed Lowe’s, Duane received a call on his drive home from a local car dealer. 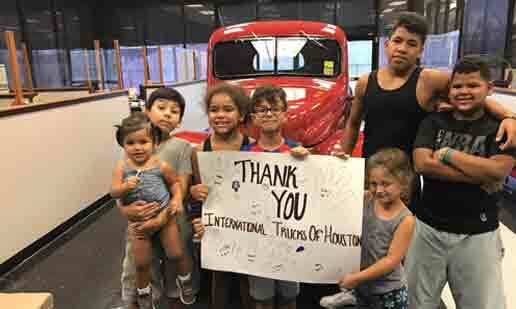 The goal was to get 30,000 pounds of meat from Orlando to NRG Stadium in Houston to feed 4,000 to 5,000 famished evacuees, but how was Kyrish Truck Center going to complete the nearly 2,000-mile round-trip trek in just 48 hours to get the food back in time? Persistence, dedication and working the phones like a politician on election night, that’s how. First a call to a dealer in Orlando to secure a truck and trailer located near the food. Then a call to a driver in Houston to get him on a flight to Florida to bring back the precious cargo. More calls were made to ensure the meat was properly loaded, transported and then finally barbequed at home for those in the direst of straights. This herculean effort to help an entire city is what Kyrish Truck Center does for every single customer. The Kyrish Truck Center rebrand will continue to provide customers with the most reliable commercial trucks, truck parts and services, as well as new and used truck rental and leasing options on everything from box and dump trucks to sleeper and flatbed options. The company also has a wide variety of busses to choose from along with bus parts and services to help serve the Texas school market. No matter what automotive need customers have in 2017 and beyond, they can be confident that the Kyrish family will be there with them every step – and mile – of the way.